Attention #Georgia Drivers! Get your #LungCancer Awareness Specialty License Plates today! 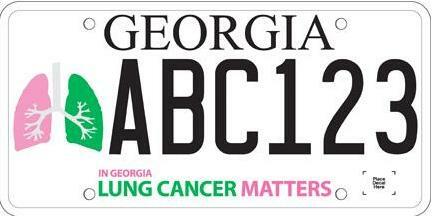 Georgia is the only state in the country to offer its drivers the option of a lung cancer awareness specialty license plate. Show your fellow motorists that, in Georgia, lung cancer matters! Proceeds help The Joan Gaeta Lung Cancer Fund support important research!